President Pranab Mukherji today addressed a joint session of the Parliament, first time after the elections to the 16th Lok Sabha and spoke about all issues of concern and the action forward. He listed down the priorities of the new NDA Government with a hope that in sessions ahead with heavy legislative agenda will be productive and useful. He said that the unprecedented interest showed by the people of India is a sign of progressive deepening of our high regard to democracy and applauded the verdict in favor of development and good governance; strong and steady government that will provide effective leadership. He said that his government will function with the mantra of 'Minimum Government, Maximum Governance’. We have voted for a united, strong, and modern India - "Ek Bharat - Shreshtha Bharat" and he reassured that his Government is committed to nurturing the right environment for actualizing this mandate of the people. For this, it pledges itself to the principle of ‘Sabka Saath, Sabka Vikas’; which can be fulfilled only through your active participation. He asserted that the tax regime will be made non-adversarial and investment friendly. 'Beti bachao and Beti padhao' mass programmes will be launched, along with zero tolerance towards violence against women. 33% reservation will be provided to women in the Parliament and Legislative Assemblies. He said that by successively electing women Speakers, the Lok Sabha has re-affirmed our age-old belief in the importance of women in our society. President also assured that the issue of high pendency of cases in our judicial system will be addressed as justice delayed is justice denied. Special emphasis will be laid on alternate dispute resolution system. Clear rules for allocation of coal, mineral and telecom spectrum will be formulated by the Government. Courts would progressively be mordenized to improve their operational efficiency, and start reform of the criminal justice system to make dispensation of justice simpler, quicker and more effective. It will initiate a mission mode project for filling vacancies in the judiciary and for doubling the number of courts and judges in the subordinate judiciary in a phased manner. He stressed on putting in place transparent systems and time bound delivery of government services. Government systems and processes will be revamped to make them citizen friendly, corruption free and accountable. Efforts will be made to eliminate obsolete laws, regulations, administrative structures and practices. Rationalization and convergence among Ministries, Departments and other arms of the government was ensured to have focused delivery. Digitization of government records was promised for improving accessibility. India is a federal polity. But, he observed that over the years, the federal spirit has been diluted. The States and the Centre should function as an organic Team India. He said that in order to actively engage with the States on national issues, the government would revive fora like the National Development Council and the Inter-State Council. He added that the Centre will be an enabler in the rapid progress of States through Cooperative Federalism. State-specific development models will be developed taking into account the special needs and unique problems of Coastal, Hilly and Desert areas. He emphasized that the country is passing through a difficult phase, with the GDP growth less than 5%. He also spoke about price rise, which is the immediate concern of the Government, along with an aim to usher development and attract foreign investment. Also, development of nuclear power projects, along with operationalisation of International civil nuclear agreements will be undertaken. He also stated that the Government would move towards a single-window system of clearances to promote manufacturing. President ensured that the Government is committed to concerns relating to development of Andhra Pradesh and Telangana. Government would also come up with a national plan to prevent communal violence. In addition, efforts will be made to ensure that Kashmiri Pandits return to their homeland. Mukherji said that a policy of zero tolerance towards terrorism, extremism, riots and crime will be pursued. The States will be assisted for modernizing police infrastructure and equipment to deal with new forms of terrorism including narco terrorism and cyber threats. The Government is planning to revive Brand India, riding on our strengths of 5 T's: Tradition, Talent, Tourism, Trade and Technology.He finally envisioned a strong, self reliant and self confident India. He asserted that with the three Ds of Democracy, Demography and Demand on our side, India is poised to actualize these aspirations. Like PM Narendra Modi had stated, the report card after 60 months will be able to portray a better picture of the fulfillment of all the promises and aspirations. Read full text of the speech here. 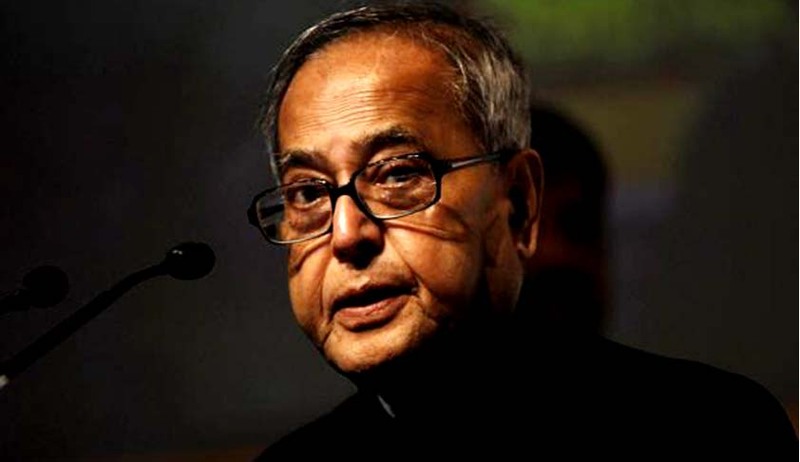 Legal News India, Pranab Mukherjee, President of India, Parliament, Indian Legal News.